I might actually miss the ol' Mack. In a few days, the next facet of my journey begins. I’m ending my Over-the-Road driving career. 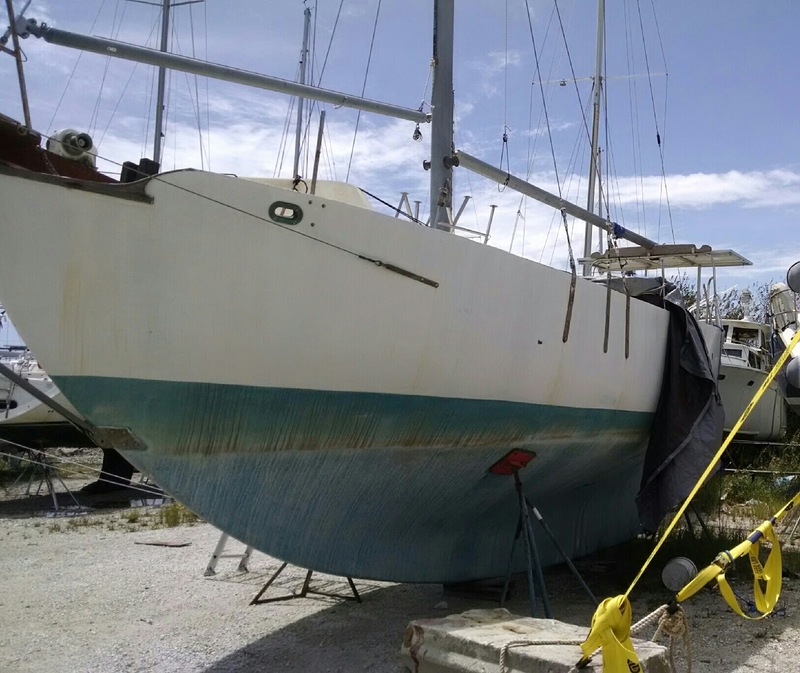 Emma, my Westsail 32 cutter, will be my home and my full-time job. I’ve been hitting the road really hard for the last year saving money for Emma’s refit. The last month has been intense. Besides preparing to quit trucking, there was a little storm, named Irma, that came by. I rode out the storm in Jacksonville and Emma is fine. It’s a difficult decision to leave this company. I have a great dispatcher and everyone in the office is helpful and committed. Last month, when It became clear that Irma was going to come to Florida, I asked the weekend dispatch crew for a Fort Pierce load if one came up. Five hours later, I was on my way. 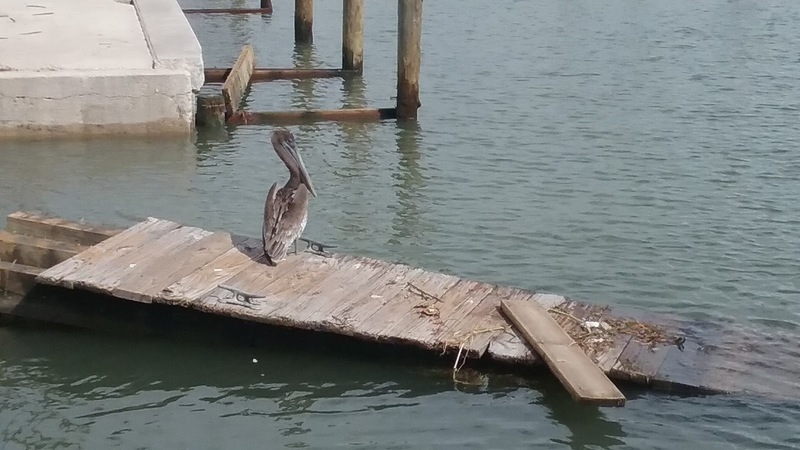 After a ‘drop-and-hook’ at the warehouse in Fort Pierce, I ran across town to the marina. With the truck parked along a side street, I spent an hour and a half buttoning up Emma. I pulled down some shade tarps and tied down the hard dinghy. I put the cockpit back in place, sealed it with some weatherstripping, but didn’t screw it down. When I crawled down the ladder, she was as prepared as I could make her. In the week before the storm, I was running loads around Florida, South Carolina and Georgia. Each time I stopped somewhere, I checked the National Hurricane Center website. The early forecasts had Irma raking up the east coast of Florida or just missing and heading toward the Carolinas close offshore. With a storm as big as she was, neither of these options was good for a guy with a boat on the Treasure Coast. At least, my boat is ‘on-the-hard’ not in the water. The forecasts began leaning to the west. In the end, Irma tore up the Gulf Coast instead. This was good for me and my boat, but not so good for my friends and family over there. wanted to ‘bobtail’ home; toward the storm! I guess this made sense to ask drivers who had homes and families. I opted to run to Jacksonville and hide. By the time I was dropping and running, Jacksonville was out of the forecast cone for the eye of the storm. I didn’t have enough hours to run any further. It turned out to be a good position to restart right after the storm. 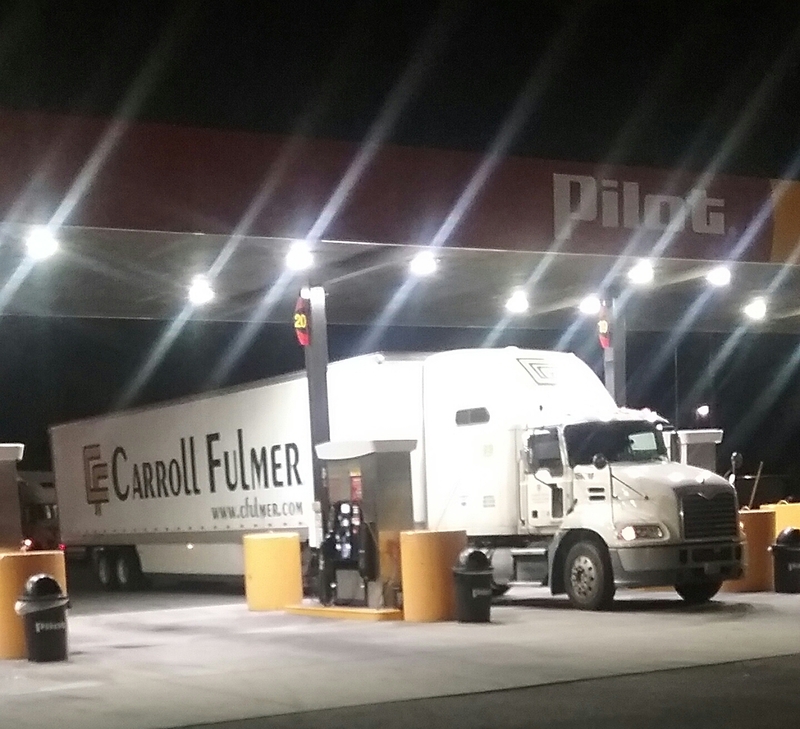 I got to a Pilot Truckstop and parked between a couple big trucks. We were all somewhat protected by the highway embankment nearby. Shortly, the Pilot sent all their employees home. Soon after that, the power went out in the neighborhood. My truck rocked and rolled as the outer storm bands came across northeast Florida. A couple times, a blast of wind really shook the truck, but I never felt like I was in danger. I looked out a few times, but in the rain and wind, it didn’t make much sense to get out and walk around a closed truckstop. Palm trees look very strange when all the fronds are folded over to one side. I ended up leaving before the station was open again. Once freight started moving, my first load was for a Home Depot near Fort Lauderdale. It felt good to be helping in a small way. The morning after the storm passed, my Marina posted that “all boats are standing.” It was ‘mostly’ true. Later that day, a couple good friends, locals, texted me pictures of Emma still standing. It was a great relief. Another couple, new friends, had offered to do the same. I’m mighty lucky to have made several good connections in Fort Pierce; even without really having been a ‘local’ yet. Emma is fine. There was 25 gallons of rain in the bilges because the cockpit wasn’t sealed. One non-critical tarp was ripped off. The scariest thing was that Emma wiggled enough in the wind that the jackstands had moved a bit. I’ve already pumped her out, cleaned her up and tightened her stands. Life is good. In the days just after the storm, I was driving around Florida, Georgia and Alabama. I didn’t see much structural damage, but there were hundreds of trees down. 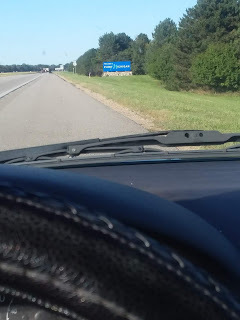 As I drove down I-75 and up I-95, the highway crews had already been out cutting back literally miles and miles of trees that had fallen onto the road or shoulder. Everywhere I went the shoulders were littered with piles of wood chopped up quickly by chainsaw. Fresh cut log ends poked out of the woods; some still within inches of the traffic as it whizzed by. project plans are a little richer than the boat fund as it stands. In addition, I’ve never done well with a wide open schedule. So I am looking into part time opportunities that will keep me disciplined, but won’t interfere with my boatwork. 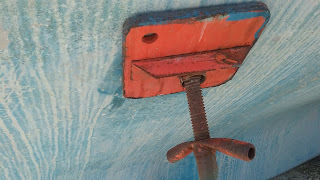 One way or another, I have plenty of boatwork to do. With a small, steady income over the next months of boatwork, I may be able to afford some extra things for Emma and a couple cameras for recording my wandering. I’m really excited!! The first week of October I’ll be living aboard Emma where she sits in the gravel and spending as much of my time with her as I can. In addition to boatwork, I’ll be working the 'road' off my fat-assed trucker body. I can't wait to cook for myself again!!! I can't wait to eat actual vegetables and give up road food!! I can't wait to be plant-based again!! I can't wait!! !